In case you haven’t heard, Jerusalem has a burgeoning and diverse nightlife scene brimming with local and expat watering holes, alternative hangouts, cocktail bars, live music venues, dance bars and more. We’re not just talking about weekend joints either. Jerusalem nightlife runs 7 days a week, and every night there’s something special going on. Whether you’re winding down your weekend or starting off your week, a chill night with a surprise concert is just what the doctor ordered. While you’re most likely to hear Jazz at Birman, you might also catch a Klezmer, gypsy folk show or just the owner on his accordion, depending on the day. The atmosphere is always casual and full of music junkies, especially on weeknights. Meanwhile, the drinks are fairly priced, and the food menu is pretty enticing in its own right. There’s no need to fret if you can’t make it out on Sunday because Birman has live music every night Saturday-Thursday. Got a song or stand-up routine that you’d like to perform in front of a crowd? Look no further. Mike’s Place opens up their stage to anyone with the courage to get up on it every Monday. Mike’s Place is an iconic piece of Israeli nightlife and probably the number 1 expat hangout in Jerusalem. Aside from Monday and Friday (closed for Shabbat) nights, there is a live show with free entrance and always a warm, community atmosphere. The drinks and food (kosher) aren’t half bad either. Andalucia is a new and trendy cocktail and tapas bar located at Music Square in the picture-perfect Nachalat Shiva neighborhood. This stylish bar offers a sophisticated Mediterranean chef cuisine with Spanish notes. Spread over 3 floors, the first floor at Andalucia is all about Spain – furniture, painting, colors and all. The second floor is where you’ll find their huge cocktail bar, and the third floor has a private room and beautiful balconies overlooking the neighborhood. Thanks to the neighborhood’s laid-back character, Andalucia becomes a perfect choice for an intimate evening hangout on a weekday. If you’re out celebrating, then you should definitely check out the bar floor and try the wide variety of cocktails that pair perfectly wue to the neighborhood’s laid-back characterith the rich Spanish menu. In keeping with European tradition, Israel has turned Wednesday night into a student and youth party in Jerusalem’s center. This is the day you’ll find the most young people partying until the wee hours of the morning, and it makes a lot of sense. Why should you wait until Thursday, when you can be happy in the middle of the week? Dorothy is a restaurant-bar which turns into Jerusalem’s central dance bar every Wednesday night. Dance to lively music, and enjoy good food and the alcohol which runs like water well into the night. During the week, Dorothy is a quality meat restaurant, with a calmer atmosphere, and every weekend, there are parties. Dorothy’s has everything, for everyone and every mood. You haven’t experienced Jerusalem nightlife until you’ve spent your Thursday night in the shuk. Mahane Yehuda is overflowing with bars of all kinds, and they all have a bit of extra life on Thursday since it’s the beginning of the weekend in Israel. One of the most popular and trendiest spots is Beer Bazaar – a fun, cozy, and authentic bar with a menu of 100 Israeli craft beers, located right at the heart of the market. Thursday nights are all about partying and celebrating life in a very local and warm atmosphere (even during the cold winter!). Tip: if it’s you’re first time at the BeerBazaar, try the “Fat Cat” beer – totally addictive. 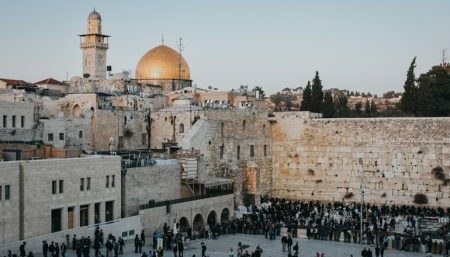 There’s a common misconception that the entire city goes to sleep over Shabbat (Friday evening to Saturday night), but it’s actually one of the liveliest nights in the city center. The younger crowd tends to flock early in the night to Rivlin Street, Jerusalem’s most famous nightlife district, where you’ll find throngs of young Israelis drinking beers and smoking shisha. Later on, the party continues at dance bars like Toy Bar and Monaco — or for the truly adventurous, the legendary Sira Pub. Meanwhile, the more mature crowd usually frequents the Shushan district (aka hipster central) for drinks and conversation at divey hipster bars and free concerts at Hamazkeka. That’s it. The week went by so quickly, and now it’s time to get yourself ready for the new upcoming week. We recommend on something a bit more quiet and relaxing, especially if you were out celebrating all weekend. One of the most unique places to do exactly that in Jerusalem is Bar 55. Located in the Yes Planet Cinema Complex, it’s a great place for some drinks after a movie. The bar has 55 (!) draft beer types (that explains the name..) and an insane meat-based menu. If you’re there on a summer evening , be sure to get a cold and refreshing beer and check out their great balcony overlooking the Old City. And when it’s cold, their indoor section, amazing food, and high-quality alcohol will keep you happy and warm.